photosource: Eurovision – Loreen with Euphoria when she WON in Baku! Before her worldwide hit “Euphoria”, Loreen managed to change her life completely by release lot’s of nice songs already. Loreen became known to the public, thru the Swedish IDOL, which she almost lost in 2004. Loreen or Lorine Zineb Nora Talhaoui, which is her beautiful name was raised in a liberal Muslim household. She is however a non-practising as an adult, and try to move boundaries of what women can show at the stage. Early in her life, Loreen moved to Västerås. There she grew up, and because of that she calls Västerås her hometown. So, we can all say that she is Swedish as she was born in Sweden. Her Morocco parents gave her amazing skin and together with her Scandinavian living. She have become what she is today. An amazing artist that knows how to combine music and art on the stage. “The Snake” and “My Heart Is Refusing Me” moved her beats by beats! At first, she got to be known thru her song “The Snake” after her IDOL performance, which she did in co-operation with Rob’n Raz. This was a quite different music genre from what the new Loreen music genre would become. However! It wasn’t until Melodifestivalen 2011, that Loreen actually became quite known worldwide. Here she appeared with her song “My Heart Is Refusing Me”. A very powerful song that hurts and heals at the same time. In 2011, she also released a song called Sober that had much more beats into it than before. Many people still loves it and same with us. Media Never Forgets Loreen is the Swedish Queen that changed Eurovision forever! Most of the Eurovision artists that wins the contest, usually manages to get only one or two days of fame, and then the media forgets them for some unknown reason. But for Loreen, this is not the case. Even now in 2017, I manage to hear her song “Euphoria” played on local radio stations here in Oslo, Norway. And that’s pretty strong, because our Rybak which won Eurovision with his Fairytale isn’t played at all and he got like record high points ever in Eurovision Song Contest? This trance pop song moved Europe so much! What a fantastic performance by her, which will be remembered by generations to come. But in this article, I want to focus further on some of her songs after Eurovision Song Contest 2012 in Baku, Azerbaijan also! Because they were many and excellent. Also, this years song by her named Statements should have won, but once you deliver something more “artistic” feel to it. Then something happens, or the voting system in Swedish Melodifestivalen program on TV failed totally. Who knows??? 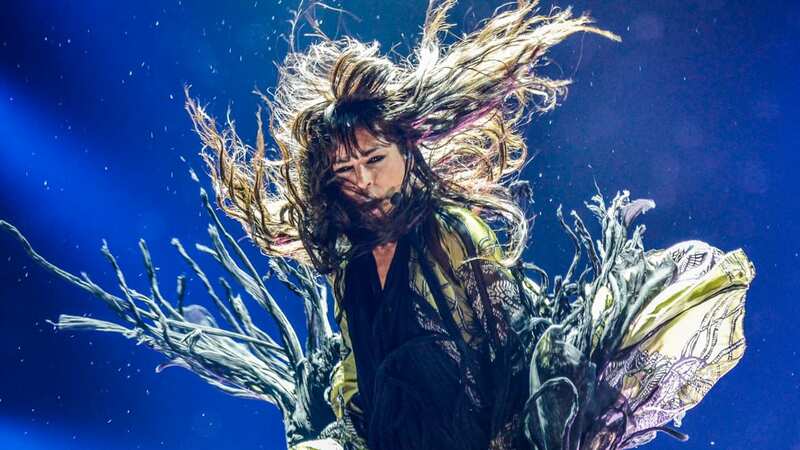 At Eurovision Final 2013 in Malmö, she did this extension performance with songs “We Got The Power” and “Euphoria”. However, she also managed to release a song called Heal in 2013 that is still a very nice song. It is much slower and intense than her previous songs. Then we have “Jupiter Drive” from 2014 is quite different. The instruments are powerful and it’s just amazing. Loreen manages to heal everyone with her voice either on stage or from albums that is something totally different in style. This song is a perfect example on how much power her voice and tones are. This song above is so much different from Euphoria it can get. So, she manages to show that she can do lot’s of genres and not only be “that trance and pop” singer. And this is the reason why we call her for a queen, because she handles so many different tones and music genres. She can also be Very emotional at the stage, which shows that her songs means something to her and that she isn’t just another pop artist. There are so many songs made by this queen, that digging every song up is problematic in such article like this. However, we need to address some more songs forr you! She manages to nail everything perfectly here also. This is just yet another powerful song by her that proofs that she doesn’t need to be standing at the stage of Eurovision to prove that she is a amazing angel spirit. Loreen is the Swedish queen that got an amazing spiritual voice that she knows how to use to be seen as the artist she is for the world. Thru our article about her, I want to address how much power her music got. This is an amazing artist from Sweden! We LOVE you LOREEN! Because of your voice, your looks, your style, your way of healing souls worldwide and your fight for giving female artists a bigger freedom at the stage. Some highlighted comments regarding her music! She sounds great. Her voice is so exceptional. that her voice without autotune so beautiful cuz she sang it this live and it’s so musical and beautiful voice! big love and support!!! This woman’s music and voice always take me to another dimension. Beautiful! Definitely a masterpiece. Congratulations!!! And finally I give you Statements video from Melodifestivalen that didn’t reach the final even! It’s like some of these comments about Loreen singing saying… She must be from another dimension, giving us all of her fantastic music. Now! I am going back to my Loreen is the Swedish queen listening evening moment. Because once I’ve started to write about Loreen, she managed to get me understand and love her music more and more for each song and tone that I listened to. The fact is that I learned more and more about her as an artist listening and reading about her. I never thought she is a queen like everyone said. Its time to forget what the media says and become even more independent. It’s then when you realize and see how the world is. Thanks to your music Loreen and we hope for many new albums in the future. You are fantastic and will be remembered all the time.